Flowers are an important component of any Indian event. Be it an Indian wedding, Hindu puja, birthday celebration, thread (Upanayam) ceremony, Havan or hindu funeral service, loose flowers, garlands and flower petals are used extensively. 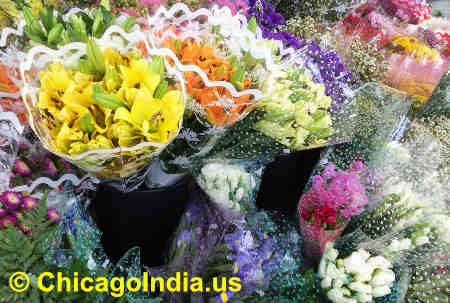 Chicago is home to a few Indian flower stores that offer garlands, fresh loose flowers, carnations, bagged rose petals and more for any Hindu function and ceremony.